Talullah Willis is Demi Moore’s youngest daughter and this weekend she turned 16. Demi Moore and husband Ashton Kutcher hosted a house party and survived. This picture above was takent he morning after. Talullah is one lucky girl to have a Mom cool enough to throw a dance house party in the Hollywood Hills, California. 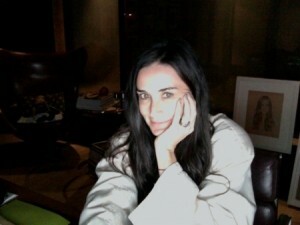 Demi Moore recently won the Pepsi Refresh Celebrity Challenge and donated $250,000 to GEMS.